the neck thing. ouch. no really...ouch! this started the mornintg of oct 14th. Ive seen multiple drs, pa's , PT's, and have been in a lot of pain ever since that morning. I just woke up and it was wrong, all the muslces around my neck and upper back were constricted. 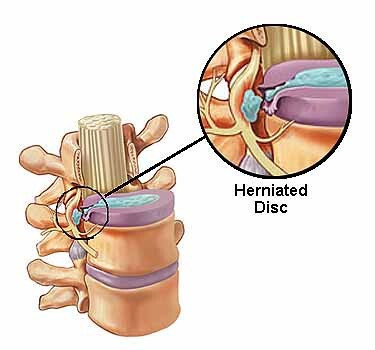 the mri revealed that ive got quite a huge ruptured herniated disc,. Things keep changing as far as what is next and how that goes..... Today I saw a neurosurgeon who went back over the mri and approved the surgery, and explained how it would go down. I STILL have to meet with another neurosurgeon,. I actually have a cd with the mri film on it thats pretty cool. I liked this dr today. Dr Roth out in Brunswick. He showed me where things where and why it hurts in my arm. That little tree branch looking thing above in the picture is a nerve that leads to your arms. ill post it later. Im still in portland. Dusty had his phenal injections yesterday. ALready his gate is much more normal. He is to come back in a month to meet with gail to get his brace modified again. this is ALL very positive news. Im still in a great deal of pain. Todays Dr gave me cortisone doses that should help some with the pain and inflamation. Currently im taking that, pain pills and muscle relaxers. Nights and early mornings are th eworst. If i do sleep, when i wake all the muscles around that area are locked up tense. I dont know what they are going to do exactly yet. I wont be in the studio for a while. that was a full week ago. I have a new surgery date. This coming tuesday Nov 21, 7am MMC in Portland. Im on the last doses of a steriod pulse and it ocmpletley masks the pain during the day but combined with the hydrocodone and the muscle relaxers im quite a chemical mess. The good news is that they are hoping to do a discectomy from the back. If that occurs then i will be right as rain and recovered within a week by all accounts. if its from the front it wont be that pretty. i wont know until the day of the surgery. its the dr's call. the studio is closed until i can get back on my feet. I had the surgery then, on nov 21 and everything went extremely smooth. The surgeon was able to completely remove the obstruction and replace the nerves where they were supposed to be. It had got so bad that my entire left arm was NUMB and the FIRST thing i did when i came out of anesthesia was wiggle my fingers on my left hand! they worked. Now, several months later, i have full range of motion, and the only reminder of this time, is a constant gravelly feeling in the back of my neck, and the occassional twinge of sharp pain. 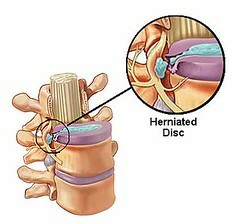 I also have a HUMP on the left side of the back of my neck, where my vertebrea now is, then a sharp jump to the other side. i have a scar that looks like an upside down keyhole about four inches long on the back of my neck, and the pain that happens occassionally is inside there somewhere where i cant rub.. It doesnt even phase me and i get through just groovilly. Its a massive improvement from how things were.